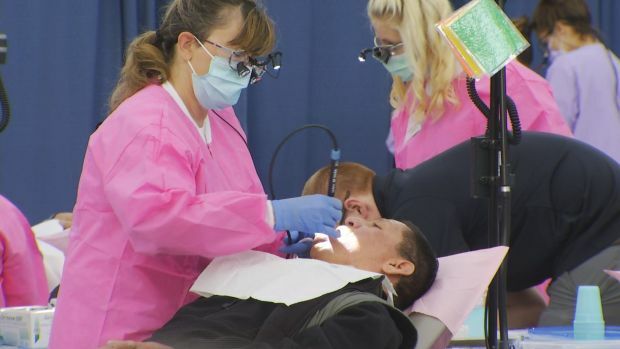 More than 2,000 people are expected to receive free dental care in New Haven today and tomorrow thanks to dentists and other volunteers participating in the 10th annual Connecticut Mission of Mercy free dental clinic. 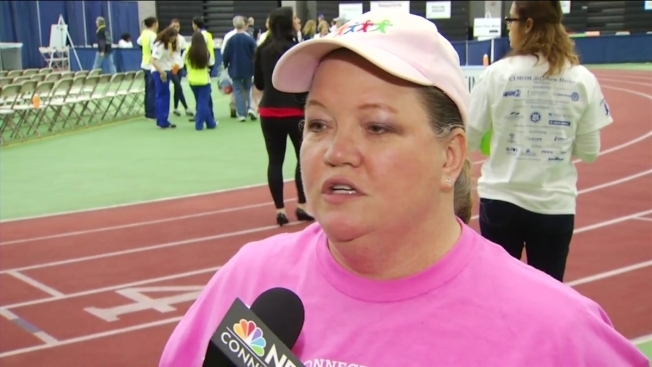 The clinic is at Floyd Little Athletic Center, at 480 Sherman Parkway, in New Haven. Doors opened at 6 a.m. Friday and patients are being treated on a first-come, first-served basis. As of 2 p.m. Friday, organizers said they reached capacity for the day. They will reopen at 6 a.m. Saurday. No appointments are needed, but be prepared to wait in line to get into the clinic. It is recommended that patients bring something to help you pass the time, such as reading material, knitting or crossword puzzles. Also bring water, food and snacks. When patients get inside, they will meet with a medical professional and dentist for an initial evaluation. In most cases, interpreters will be available to assist patients who speak a language other than English and sign language interpreters will be available to assist hearing-impaired patients. 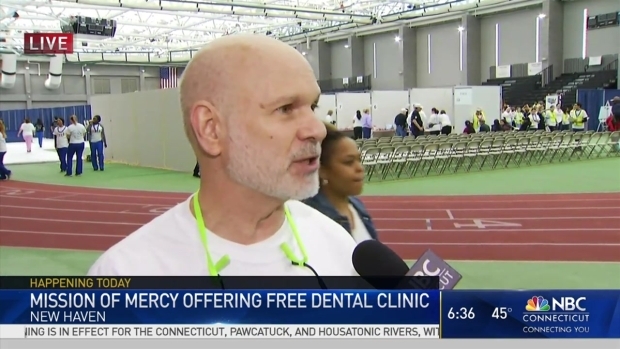 Connecticut Mission of Mercy provides treatment to patients of all ages, including cleanings, extractions, fillings, limited root canals on front teeth, oral health education, x-rays, and pre- and post-treatment medications, but no narcotics. Mission of Mercy does not provide bone grafting, braces, crowns, extraction of un-erupted wisdom teeth, full dentures, gum surgery, implants, narcotics, root canals on back teeth or tooth bleaching. Bring a list of all your current medications and take your medications according to your prescriptions on the day you go to the clinic.